Inspired by Ted Rubin's post Social Media is the New Quality Control, I began to reminisce about my past as a Quality Engineering major at Linköping University in Sweden. Perhaps that past of mine is not so unrelated to my current focus on social media marketing after all? I can definitely see that Ted has a valid point in that attempts by brands to divert attention away from product flaws can backfire as those glitches will resurface sooner or later anyway. Passionate users like the brand advocates Ted focuses on are also likely to be amongst the first ones to discover any issues with a product. The connection to quality that Ted makes is that you can use your advocates as a Social QC (Quality Control) and you will basically get the brand reputation that your product deserves. A faulty product will not get good word-of-mouth but a “flawless product” will get some serious buzz by your brand advocates. Picking up the relay baton from Ted, I suggest that you also can make some additional links between social media and quality management and here I elaborate on some of those. You can use social media to identify brand advocates that you can invite to play more active roles than in the past at much earlier phases in the new product development process. Social media platforms can be used to communicate with those advocates during the process as they convey their feedback. This is consistent with emerging practices of crowdsourcing and open innovation where you open up holes in the product development funnel for outsiders to take a peek at what is going on inside and dig in and do some work when called for. The potential benefits of such initiatives are that you can both expedite development processes with external help and increase the accuracy in terms of securing a tight product-market fit. In short, you can increase the attractiveness of the end result at the same time as you can eliminate or fix problematic issues before they are set in stone. Addressing challenges early both in the production and the design processes is definitely a core principle of quality management. Services is also an area of quality management that has come to the forefront in recent decades and here social media is already playing a major role at many companies as they monitor and respond to concerns and opportunities discovered on various social channels. The reason why service quality has become such a critical factor from a competitive standpoint is that this can be the area in which companies can still differentiate themselves while many physical goods manufacturers have found themselves embroiled in fierce competitive battles as their physical products have become more or less commoditized. To the extent that service delivery requires the active participation of service representatives, a high-quality service experience also represents an important opportunity to develop stronger relationships. If nothing else, that aspect I am sure that Ted “Mr Return-on-Relationships” Rubin will appreciate! 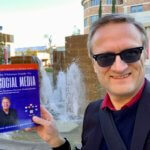 I hope that I can discuss this further with Ted in a few weeks in San Diego and I hope that you will be joining us there as well at The Social Media Marketing World! 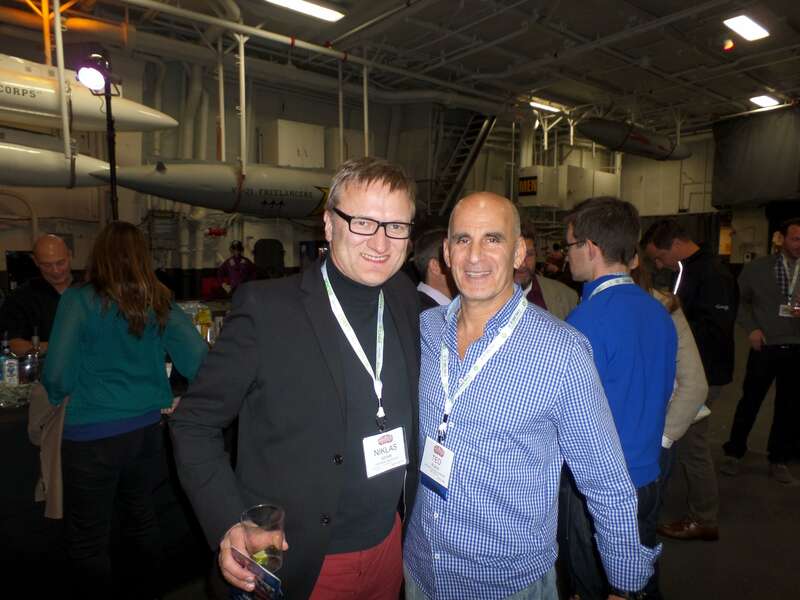 A fantastic event with the opening networking party again taking place on the USS Midway aircraft carrier. For those unable to go this time, I recommend that you consider going there! Disclosure: Some of the links on this website are so-called “affiliate links” but please note that I only recommend products or services that I either use to satisfaction personally or am confident will add value to my readers based on endorsements by people I trust. Thanks for posting Professor! I am writing a paper in a graduate class on Quality Management. 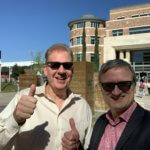 I’m attempting to find the relationship between social media and quality improvements in product and service . It appears service quality is more readily spoken about, yet to find data on product quality is a bit more difficult. Particularly, there is not much data on Costs of Quality in areas of Prevention, Internal and external failures within a quantitative scholarly journals. Any advice to find those quantitative journals or are we still too early in this exploration?